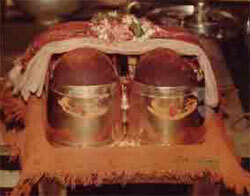 Sri Kshetra Ganagapur, One of the most famous Dattatreya Peethas, is associated with Sri Narasimha Sarasvati Swami, an incarnation of Lord Dattatreya. 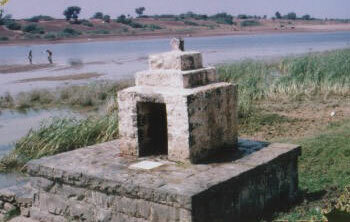 It stands on the bank of the river Bhima in Afzalpur taluka in Gulbarga district of Karnataka. This Nirguna Math is adorned with the Nirguna Padukas. 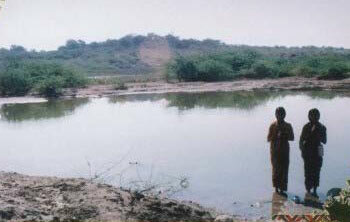 The water of the rivers Bhima and Amaraja, especially at the spot of their confluence, are considered extremely holy. 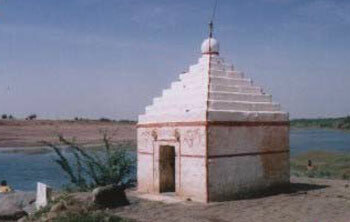 "Bhima-Amarja Sangam at Gangapur is very sacred. There are Koti Theerthas there. The Aswatha Tree at Gangapur is as powerful as tha KalpaVriksha. 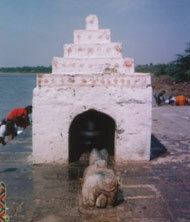 Near the Aswatha Tree is Narasimha Teertha, and northwards to it are the PapaVinasini Teertha, Varanasi Teertha, Rudrapada Teertha, Chakra Teertha, Koti Teertha, manmadha Teertha etc. There is the Kalleshwara temple there. It is holy as Gokarna. ", Sri Narasimha Saraswati lived in Ganagapur continuously for a period of 24 years.